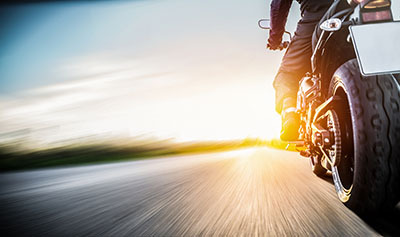 Tempe, Arizona—A motorcyclist was struck by a SUV that was turning left near Guadalupe and Rural roads late Friday afternoon. 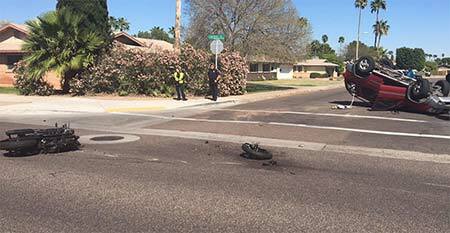 According to Tempe Police Department accident investigators, the motorcyclist was northbound on Rural Road when the SUV turned left in front of him. The collision caused the SUV to roll. The motorcyclist suffered serious injuries. It is not known whether the occupants of the SUV were injured. Accident investigators have not released the identities of those involved. No additional information presently is available.